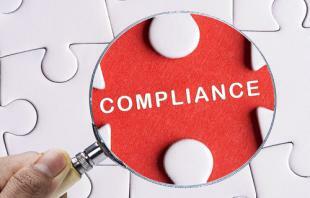 Are You Up-to-Date on Compliance So Far in 2015? Staying current on compliance, no matter your industry, is crucial, both to ensure employee safety and wellbeing and to avoid costly lawsuits. Laws and regulations change often; and it can be tricky to keep up! When you identify new training needs in your organization, we’ll be here to help—we do our best to keep up with compliance changes and work closely with our sellers to provide the training you need. This week we’re featuring courses to help you with your compliance needs, whether they include harassment, hiring, fianance, or something else entirely. There is a right (legal!) way and a wrong way to go about hiring employees—don’t get caught in a costly lawsuit. It’s essential your company has hiring policies in place when looking to fill open positions. This 10-minute course outlines key steps to take during the hiring process and covers what questions can and cannot be asked in an interview. Have employees in California who need to be educated on AB 1825 and AB 2053? This 2-hour course is a great way to target both compliance topics! Still wondering about the new regulations put in place by AB 2053? Read more here and make sure your leaders are ready to fight harassment and discrimination in the workplace. Anti-money laundering education is critical for employees working in financial institutions to prevent this illegal activity from happening at your company. This 1-hour course educates staff on preventing money laundering and helps establish your financial institution’s requirements for its anti-money laundering (AML) strategy.